Johnese Spisso, a nationally recognized academic health care leader with more than 30 years of experience, has been named president of UCLA Health, CEO of UCLA Hospital System, and associate vice chancellor of UCLA Health Sciences. Spisso will oversee all operations of UCLA’s hospitals and clinics as well as the health system’s regional outreach strategy, effective Feb. 8. She will report to Dr. John Mazziotta, vice chancellor for UCLA Health Sciences and CEO of UCLA Health. UCLA Health includes three hospitals in Westwood — the Ronald Reagan UCLA Medical Center, UCLA Mattel Children's Hospital and Resnick Neuropsychiatric Hospital at UCLA — as well as UCLA Medical Center, Santa Monica, and more than 150 primary and specialty offices throughout Southern California. Spisso is currently chief health system officer for UW Medicine and vice president of medical affairs for the University of Washington. UW Medicine comprises the University of Washington School of Medicine, four hospitals, a system of primary care clinics, a physician practice plan and an air medical flight program. During her 20 years at UW Medicine, Spisso played a major role in a strategic planning effort that expanded collaborations with regional hospitals and in the operational integration of two major community hospitals into UW Medicine. She also had a leadership role in the development of a statewide trauma system and worked with state officials to secure funding programs for trauma centers. Spisso previously worked at the UC Davis Medical Center, where she began as an intensive care nurse before rising through the ranks to direct critical care; trauma, burn and emergency services; and the Life Flight Air-Medical Program. Before that, she was a critical care nurse in the medical, surgical and transplant intensive care unit at the University of Pittsburgh Medical Center Presbyterian. 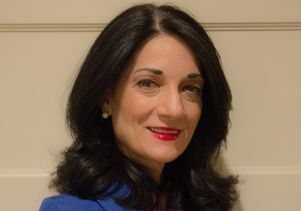 Spisso succeeds Dr. James Atkinson, who has been interim associate vice chancellor since the departure of Dr. David Feinberg, the former leader of the hospital and health system, in March 2015. Spisso holds a clinical faculty appointment in bio-behavioral sciences and management at the UW School of Nursing, and she serves on several state and national boards, including the American Association of Medical Colleges’ Council of Teaching Hospitals and Health Systems. She has published numerous articles and book chapters on health care leadership and trauma systems. Spisso received a master’s degree in health care administration and public administration from the University of San Francisco, and a bachelor’s degree in health sciences from Chapman College. A registered nurse, she is a graduate of St. Francis School of Nursing.